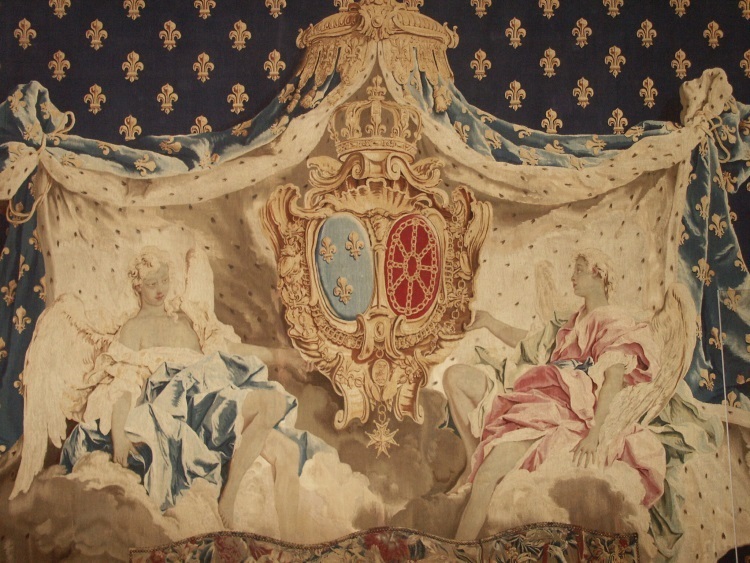 Centrally woven tapestry depicting an ermine pelmut enclosing an armorial cartouche with the coats of arms of France and Navarre surmounted by a crown and flanked by winged nymphs reclining on clouds, within a blue field diapered with gold fleur-de-lys. Purchased by Doris Duke from Parke-Bernet Galleries, October 23, 1965, Sale 2373, lot 345 (The Estate of Mrs. A. Hamilton Rice). Illlustrated in H.Gobel, Die Wandteppich, 1928 Vol. II No. 239.